Oprah Winfrey will help Weight Watchers pick a new leader after the company announced Monday that its CEO will step down at the end of the month. James Chambers, who has led Weight Watchers since 2013, will resign as the weight-loss program operator struggles to build on the momentum it garnered from an alliance with Winfrey. He will also leave the company's board of directors. 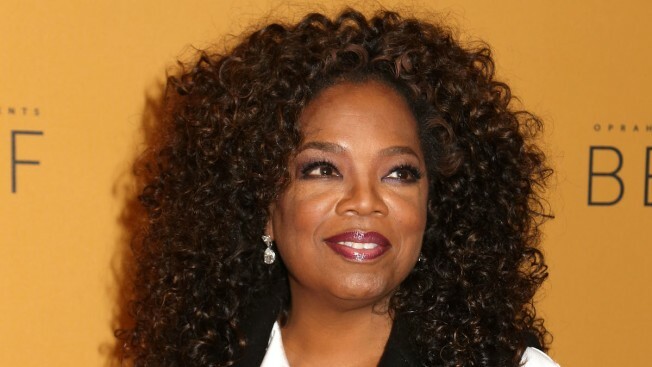 The board has established a committee that includes Winfrey to search for a permanent CEO. Chambers, 58, didn't give a specific reason for his resignation but touted accomplishments including a return to growth, the launch of the Beyond the Scale holistic program and a five-year partnership with Winfrey. The news of Winfrey's involvement in the company more than doubled the value of Weight Watchers' shares when it was announced last October, but the stock has since retreated. Winfrey, who announced earlier this year she lost 26 pounds (12 kilos) on the plan, bought a 10 percent stake in Weight Watchers for $43.2 million and joined the company's board. But the company is facing stiff competition, particularly among younger people, as consumers seeking to trim pounds turn to popular step-counting fitness gadgets like Fitbit and free weight-loss apps. Hotchkin noted that Weight Watchers expects to post earnings and revenue growth this year, with the current period forecast to show the fourth straight quarter of member-recruitment growth. For its second quarter ended July 2, the company reported flat revenue of $309.8 million, which fell short of the average analyst estimate of $318.5 million, according to FactSet. Earnings rose 9.4 percent year over year, but earnings per share declined as the company had more shares outstanding. For the full year, Weight Watchers raised the lower end of its range of expected profit, to between 90 cents and $1.05 per share. Weight Watchers' shares fell 3.4 percent in after-hours trading. The stock has lost more than half its value this year. Weight Watchers International Inc. said it has created an interim office of the chief executive officer, which will include Chief Financial Officer Nicholas Hotchkin, and director Christopher Sobecki and Thilo Semmelbauer, the company's former chief operating officer and a new director.